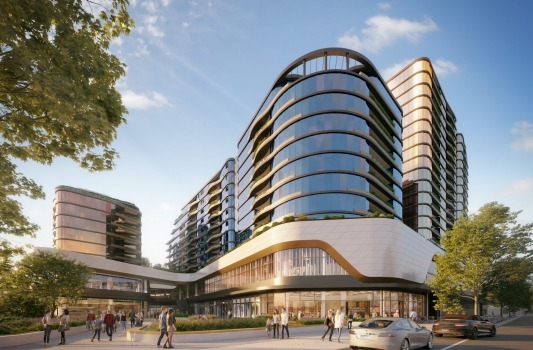 Jeff Xu’s Golden Age Group has launched a $450 million apartment development above The Glen shopping centre in suburban Melbourne after securing the air rights from its owner, Vicinity Centres. It is a unique project, the first time an air-rights transfer above a shopping mall has allowed a development of such scale, and reflective of a growing lean towards the Asian “apartments above mall” model. For Vicinity, the air rights deal at The Glen is part of a broader strategy to “unlock unrealised value” and generate greater returns from its real estate. More commonly, a smaller retail component is included in a primarily residential project at the outset. 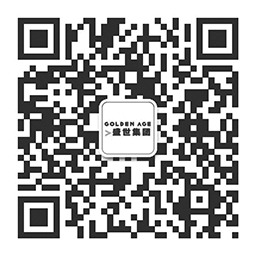 ” At Golden Age, we are always looking for new ways to do things,” Mr Xu said. The three-tower, 555-apartment project that will straddle The Glen includes a 4000 square metre sky garden as part of the platform supporting the towers. The Sky Garden project, as it will be known, is being delivered alongside Vicinity’s own $460 million retail redevelopment, including 240 new shops and retailers. A number of designers are working on Sky Garden: Rothelowman for the exteriors, interior design experts DKO Architecture and ASPECT Studios for the landscape design. One-bedroom apartments will start at $480,000, with three-bedroom apartments rising to $1.1 million. Construction of the three towers is due to begin in 2019. “We see Sky Garden as a perfect addition to our redevelopment of The Glen, further enhancing the primacy of the location and creating a strong foundation for a new community,” said Carolyn Viney, Vicinity’s executive general manager for development. Mr Xu, a prominent developer in Melbourne and more recently Sydney, acquired the air rights for The Glen in Melbourne’s south-east a year ago. Among his other projects is an upmarket $600 million hotel and apartment complex on Melbourne’s Spring Street, where Mr Xu has struck a partnership with powerful US investment platform Starwood Capital. At the time of the deal last year, Vicinity’s former chief executive, Angus McNaughton, said the group was carefully considering other such opportunities in its portfolio. Mr McNaughton’s successor, Grant Kelley, who most recently led Singapore’s City Developments – the main listed company of the Kwek family’s Hong Leong group, expanded on that theme when handing down his first set of results in February. He noted there was a lot of land around many of Vicinity’s shopping centres creating the potential to unlock unrealised value. “A little bit of this comes from my own background, having worked in Asia, where space is very constrained,” Mr Kelley said. Sales growth in specialty stores in Asian malls were very strong for “the very simple reason that due to space constraint the original development application had a tremendous amount of mixed use baked in”, he said.